Two Receptions Opened in to One - Can easily be Converted Back. 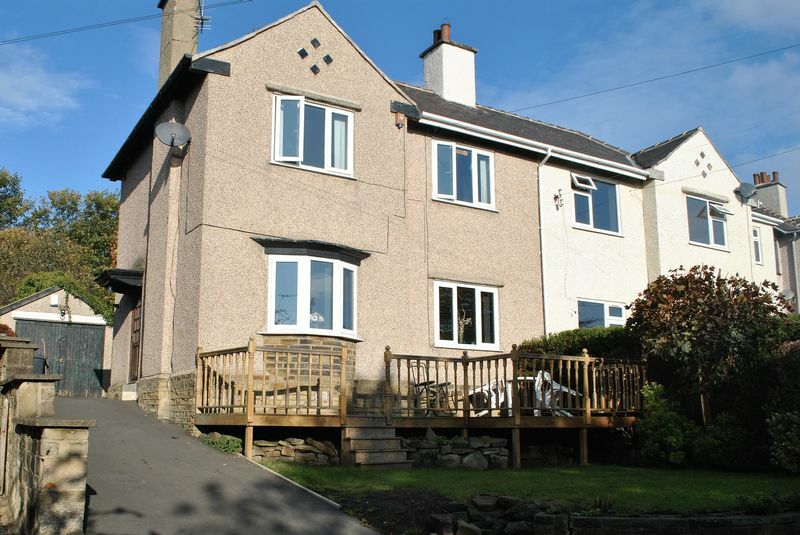 Dinsdales are pleased to offer for sale this good sized semi detached property in Allerton. Offered with no upward chain this property is "tucked" away with semi rural views of Chellow Wetlands to the front aspect. 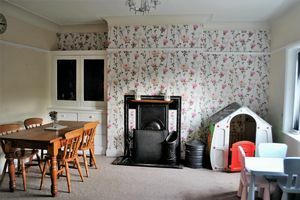 There is a large living space that was once two reception rooms. This, in our opinion, would easily convert back to two reception rooms. The rest of the property consists of a kitchen, a walk in pantry/store, hallway, three bedrooms a bathroom and a separate toilet. 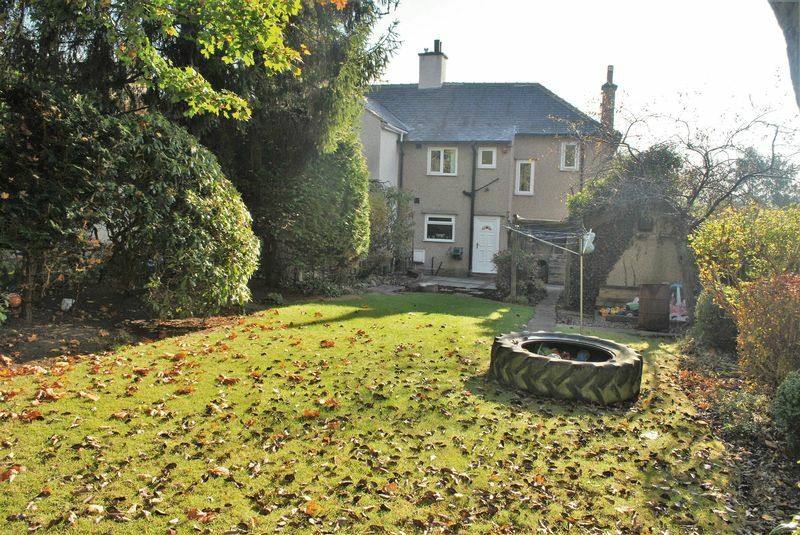 Externally there is a driveway for several cars, a detached garage and a lawned and decked garden to the front. 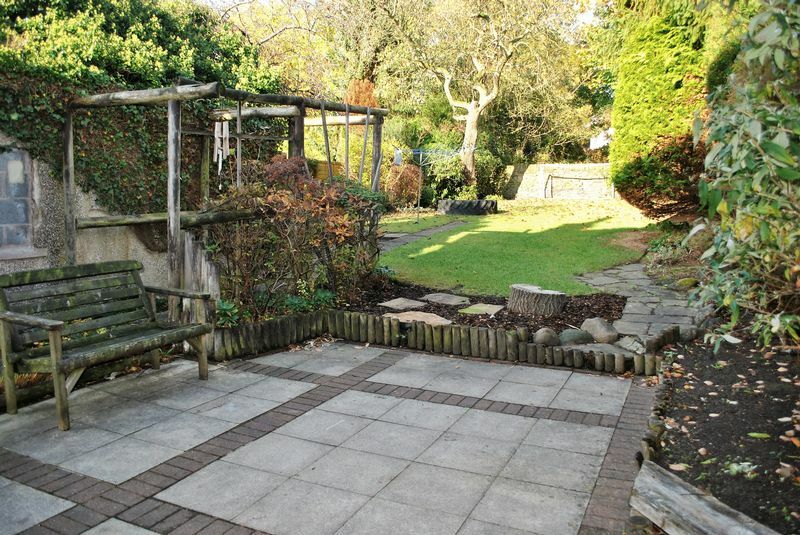 To the rear there is a walled, good sized garden with a lawn and patio area. This property has plenty of potential to grow subject to the relevant planning consent. Must be viewed to be appreciated. Energy Rating D.
From our office head up Thornton Road and turn right on to Allerton Road at Four Lane Traffic Lights. Take the 5th turning on the left on to Bullroyd Drive. Follow the road around to the right. A wooden side entrance door leading from the driveway. A walk in store with a Baxi boiler ( for the separate heating system) boiler, electric meter and RCD fuse board. A radiator, smoke detector and heating thermostat. Accessed via a Upvc rear door. A double glazed window and access to a walk in pantry. A range of Shaker style green wall and base units with a complimentary wooden work surface. 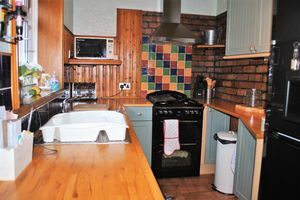 A stainless steel sink and mixer tap with plumbing for a gas cooker and washing machine. 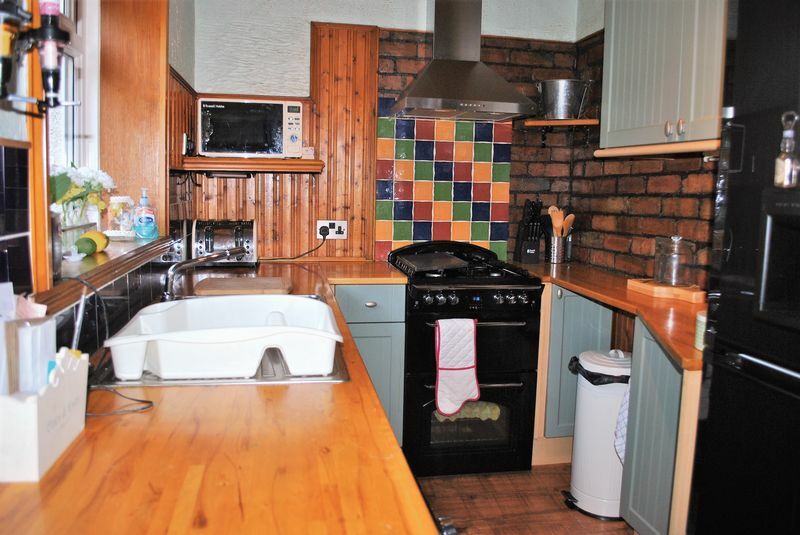 Part brick and part wood panelled walls with a tiled cooker splash back. Laminate flooring, a wooden panelled ceiling and a three way spotlight track. 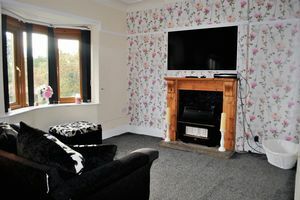 A large room which is an open plan lounge and dining room. 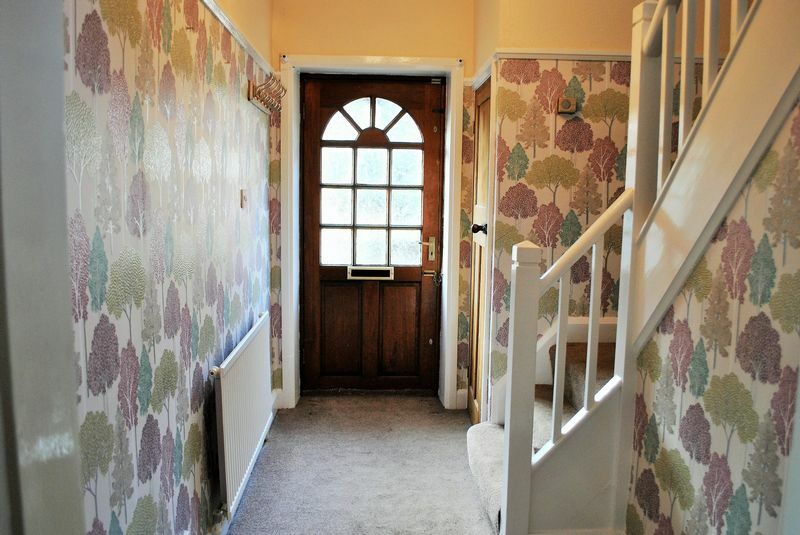 Originally two rooms and can easily be closed back to create two separate reception rooms. 4.405 x 3.921 Lounge Area. A double glazed bay window, radiator, oak fire surround with stone hearth. Gas fire, decorative cornice and picture rail. 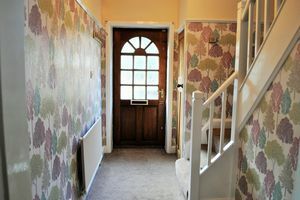 An open archway giving access to the dining area. 3.348 x 3.270 Second Reception/Dining Area A double glazed window, alcove and a built in wooden dresser unit with feature glazing. Ornamental black wrought iron / tiled fire surround with an open fire. The original wooden flooring is still present underneath the carpeted floor. 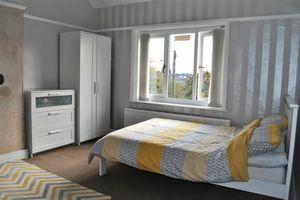 A double glazed window, two ceiling lights, loft access (insulated with light) and solid wood doors leading to all rooms. 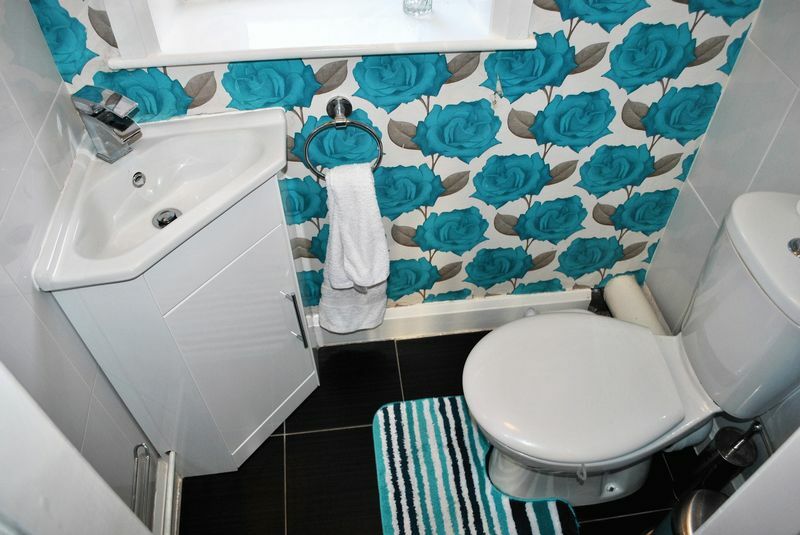 Low flush toilet, hand basin set in a white vanity unit, part tiled walls, double glazed window and a tiled floor. 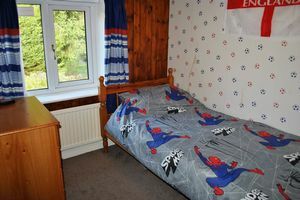 A front facing double bedroom with a semi rural view. 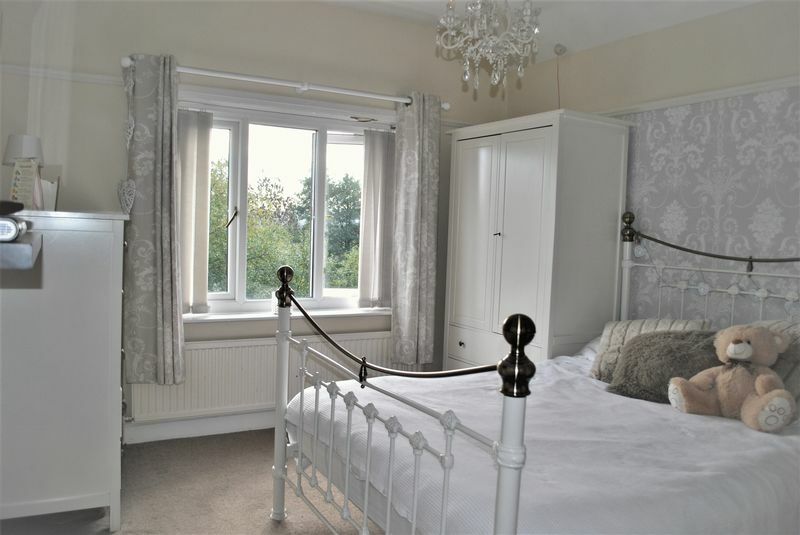 A double glazed window, radiator and high ceiling with decorative cornice and picture rail. 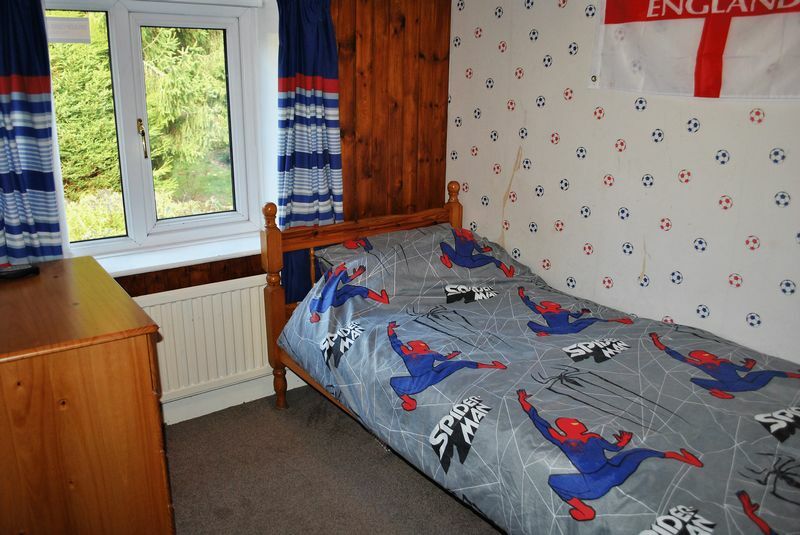 Front facing double bedroom with a semi rural view. 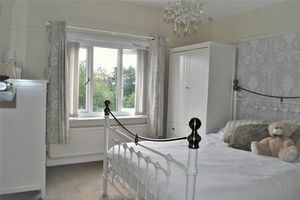 A double glazed window, radiator, high ceiling with decorative picture rail. A built in wooden store cupboard/single wardrobe. Rear facing bedroom. A double glazed window, radiator, built in single wardrobe, part wood panelled walls and feature wooden ceiling beam. A double glazed window. Part tiled/wooden panelled walls and wooden panelled ceiling. White corner bath with hand held thermo bar shower and shower rail. 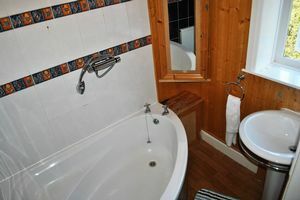 Radiator, hand basin, laminate floor, four way track spot lights and built in wooden units for storage. 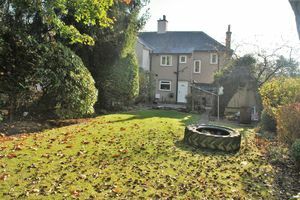 To the front of the property is a tarmac driveway for several vehicles leading to a detached garage with power. A open plan lawned garden with a wooden decked seating area to admire the lovely rural views of Chellow Wetlands. 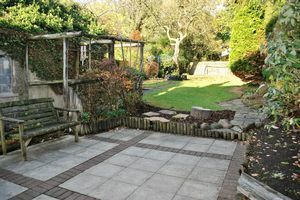 To the rear a walled garden with a flagged patio area and arbour leading to a large lawn. There are also well established plants and shrubs. 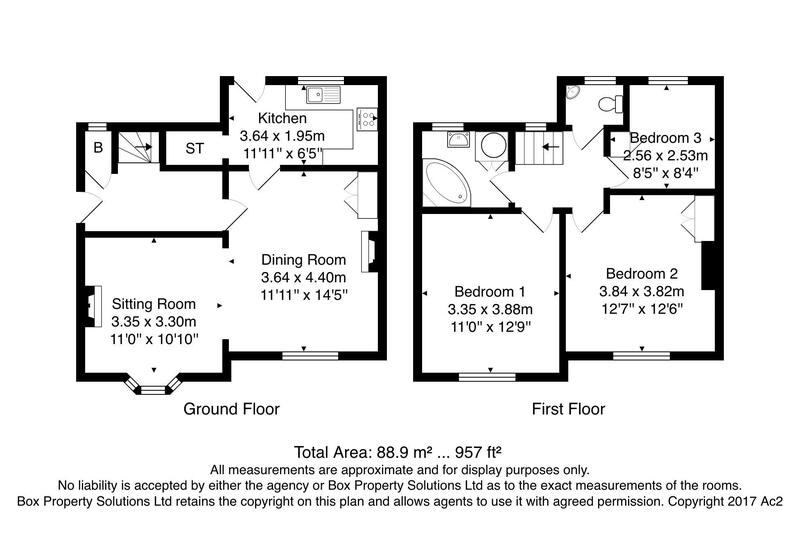 This property has the room to extend subject to the relevant planning consent. Bradford Council Tax Band C £1444.10 Approx for 2019/2020. Green bin collection is fortnightly on a Tuesday. Gas, Electricity, Water (metered) & Drainage. According to their websites Virgin Media ans Sky are available in this area. Dinsdales Estates – Sales and Lettings are keen to stress the importance of seeking independent mortgage advice. This can be arranged through a panel of experienced advisers.